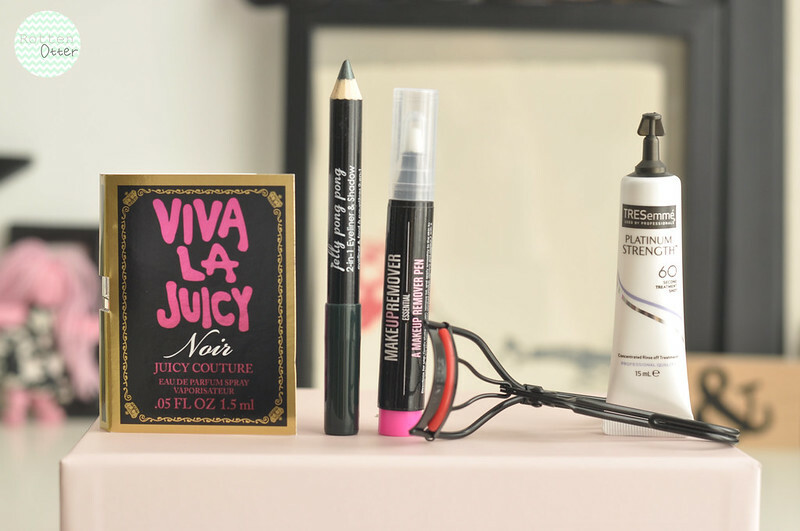 Juicy Couture Viva La Juicy Noir Perfume - I actually don't own any Juicy Couture perfumes although a couple of them have been on my to try list for a while. The notes are honeysuckle, gardenia petals, jasmine sambac, berries, mandarin, strawberry, amber, caramel, vanilla and sandalwood. I really like it and have finished this little sample vial so quickly. It's definitely one I'm going to buy at some point. Jelly Pong Pong 2-in-1 Eyeliner & Shadow Pencil - I was a bit disappointed to see another Jelly Pong Pong product in the box as I haven't liked any of the other products before. I actually like the look of this one though as it's a dark, almost black, green with a hint of shimmer. Oceane Make-Up Remover Pen - I have nail polish remover pens but didn't know the same sort of thing existed for make-up. This could be quite useful if you travel a lot or to keep on your desk at work. It also comes with a couple of extra nibs to switch out. Emite Eye Lash Curlers - I think this is the second or third set of eye lash curlers I've received in a beauty box! I really like the design and it feels better quality than others I have. These will be used until I buy a pair of Shu Uemera. Tresemme Platinum Strength Concentrated Treatment Shot - This is another product I've wanted to try since it was released but I can never find it when I look for it. I use deep conditioners/treatments every time I wash my hair as it's extremely dry so this sounds perfect for my hair. Will be giving this a try next time I wash my hair! Wow this is a really good box ! I'd have to say, I think I'd be a little disappointed if I received this box! 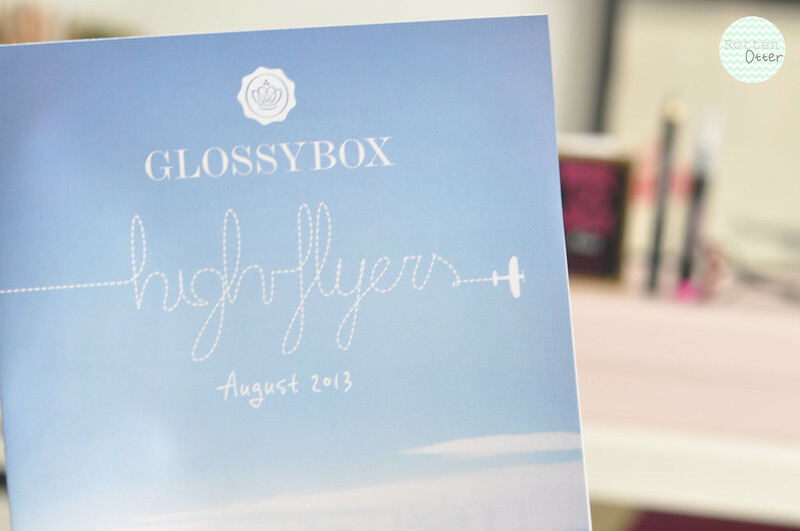 I just unsubscribed from Glossybox and I'm glad I did!